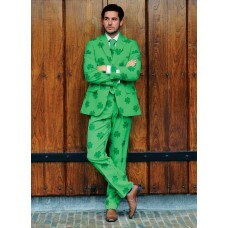 Patrick St Patrick's Day Shamrock mens suit & tie. Many say that there are more Irish people outside of Ireland than in Ireland itself! St. Patrick is a global celebration! The Irish love it, and millions of people worldwide dress up in green and embrace the Irish spirit to join the fun during St. Patrick's Day. We wanted to dedicate a suit to celebrate this fancy dress event! 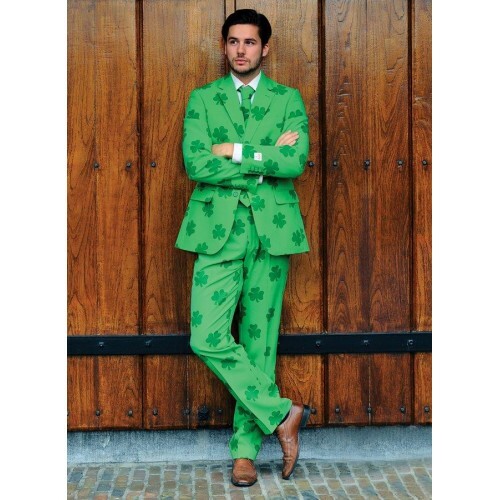 From now on, everyone can celebrate S(ui)t. Patrick's Day in style! Green suit covered in even greener Shamrocks!